Recognizing that at this stage of creative development, each person has very different needs – but only the common one of feedback – the syllabus was personalised. Each student brought in an objective, and a portfolio of 10 images that came closest to meeting those objectives; we then spent a day deconstructing and working on individual development tasks and exercises for each person, with the aim that they would work on them separately or simultaneously during the week as opportunities presented themselves, and in their individual shooting sessions with me. At the end of the week, everybody presented a new portfolio of 10 images together with their original objectives to the group – and the process was repeated. 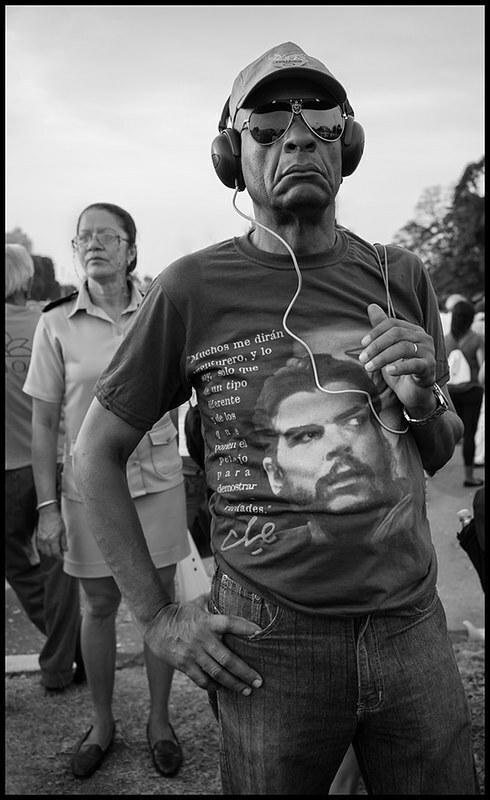 In between, we had our dose of cultural immersion from important photographers (including Jose Figueroa, photojournalist and assistant to Korda; Nelson Ramirez, Director of the Fototeca – Cuban Institute for Photography), participation in the enormous 1st of May parade at Plaza de la Revolucion, and diversions into the music and sports scenes. I’m pleased to say that I’ve seen significant growth between day one and day six; even though not everybody stuck to their original objectives (being opportunistic, flexible and visually ‘open’ is perhaps one of the most important aspects of being a good photographer and capturing unique images). I know I certainly didn’t – I wanted to shoot Ultraprintable, contextual tableaux, but landed up instead focusing on the relationship between people and their cars. The curation was probably the most difficult part of the entire exercise, but the most important: if you take and show a thousand excellent images, none will really stand out or be memorable. If you only show ten of those, they’ll be outstanding. Similarly, if you shoot a 990 crap images, but show the 10 good ones, nobody will suspect you’re not shooting like that most of the time. As photographers, we are only judged on what we show, not what we shoot*. Developing that ability to objectively assess and see is extremely difficult because seeing and capture is by nature a very subjective and emotionally invested process, yet objectivity is something a good photographer must possess. To be fair, I subjected my 7,000+ images through the same wringer – in about twenty minutes – on the last day also, live and with an audience. Needless to say, there are always going to be differences of personal opinion as to which images make the cut and which don’t – what I’ve published here are a balance between my student’s picks, and my own curation from that reduced set. I’ve got a couple of places left for Making Outstanding Images Chicago (September 3-5) and Masterclass Venice (late November); Masterclass San Francisco (7-12 September) is full, but I am accepting standbys. If you’d like to join us for any of these sessions, please click here for more information. 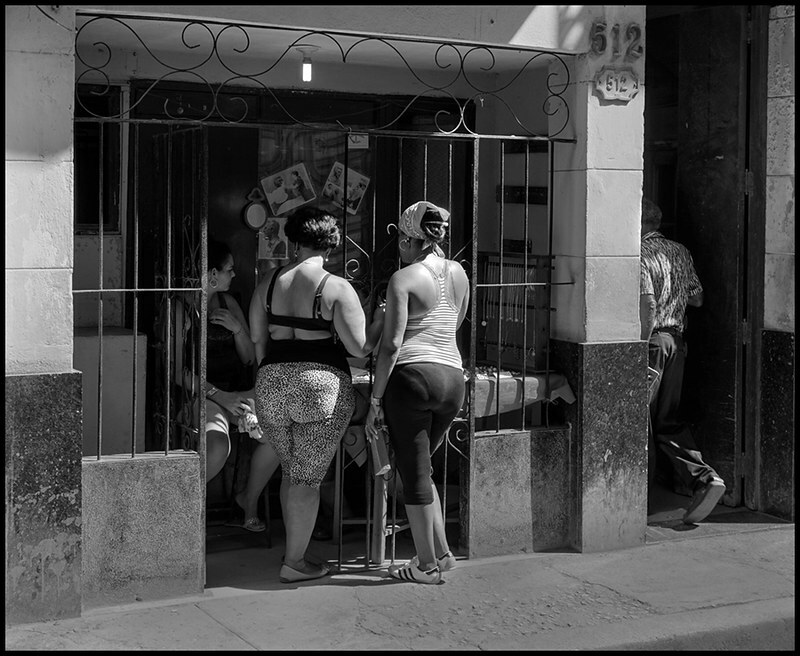 There are also limited edition Ultraprints available from my Havana portfolio, available until 20 June here. I am an amateur photographer from Norway, photographing landscape, family, travel, architecture, street. 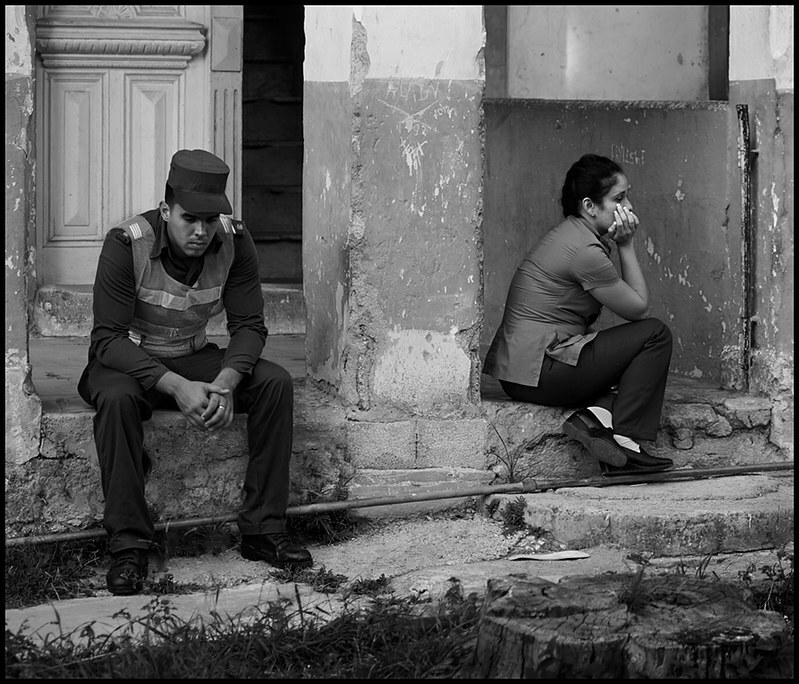 My goal for the Havana Masterclass was to develop my documentary style and composition. 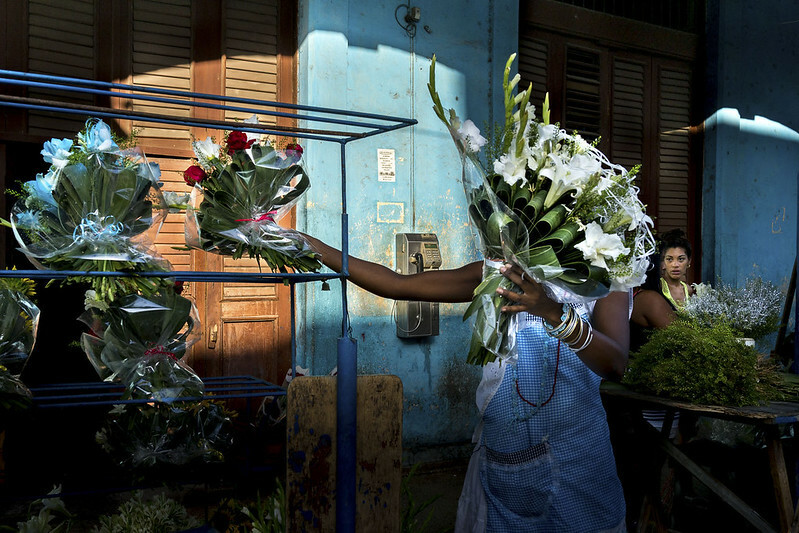 Havana is almost seductive for a photographer, with its strong color palette, friendly people and interesting cityscape. The challenge is to create something that goes beyond mere touristic impressions. I hope I managed to do that in some of the shots. It was a great learning experience, great group, great city! Hearing yourself think. 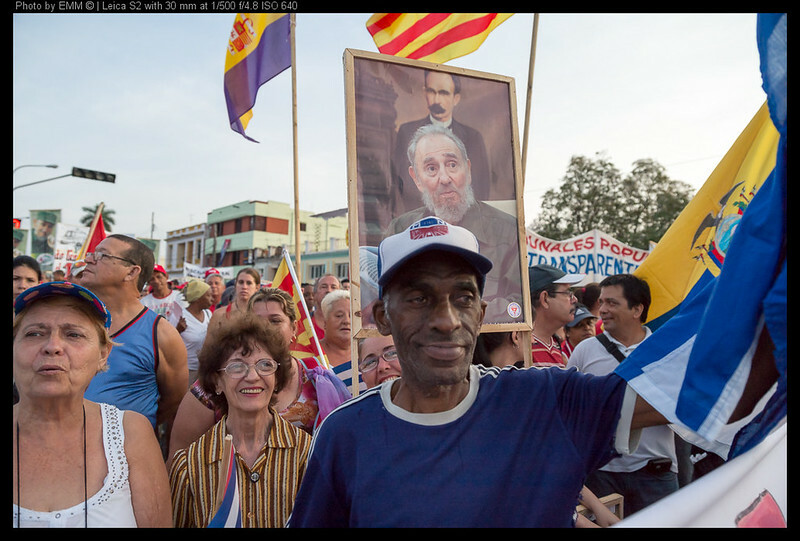 Without our myriad distractions, the people of cuba do this easily. They come to reflection in brief moments that we have lost. We have filled the quiet pauses of our lives with nervous behaviors that mirror the high pace of our purposeful activities. We live at such a mass produced, industrial pace that it seems easier to keep the mental momentum by doing something even when we do not have to. Our technology has enabled distraction to fill every crevice of unscheduled time. And this is not new. Even before we were busy texting, emailing, surfing or listening to portable music that was once limited to grand venues, we had distractions. Newspapers, television, and even the telephone were the devices that our brains used. Reflection and self assessment define us and without this, we are less human. 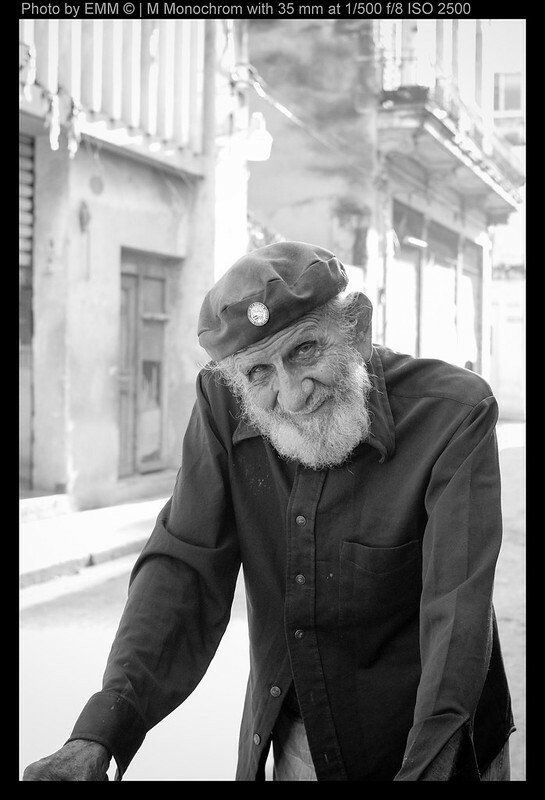 But the cubans are not zen monks who are lost in reflection. Amidst the poverty and paucity, they fill the void with life and energy. They are busy expressing themselves, not yet preoccupied with making consumer choices. You see it everywhere and can be part of it. But in those moments between transactions, you easily can touch the ‘pause button’ of the world. You can feel yourself respond to the world around you. Thoughts and feelings rise to the surface and you feel content. You can do that in a place like Cuba. I grew up in Southern California and took a Photography 101 class as a freshman in college. Since then I shot primarily landscapes, shots of my kids and candid portraits of friends. I thought I had a better than average eye but produced nothing to write home about. My class with Ming in Prague really woke me up to improving my basic shooting skills and after practicing daily for the past couple years, I felt it was time to join the Masterclass and start defining a personal style. 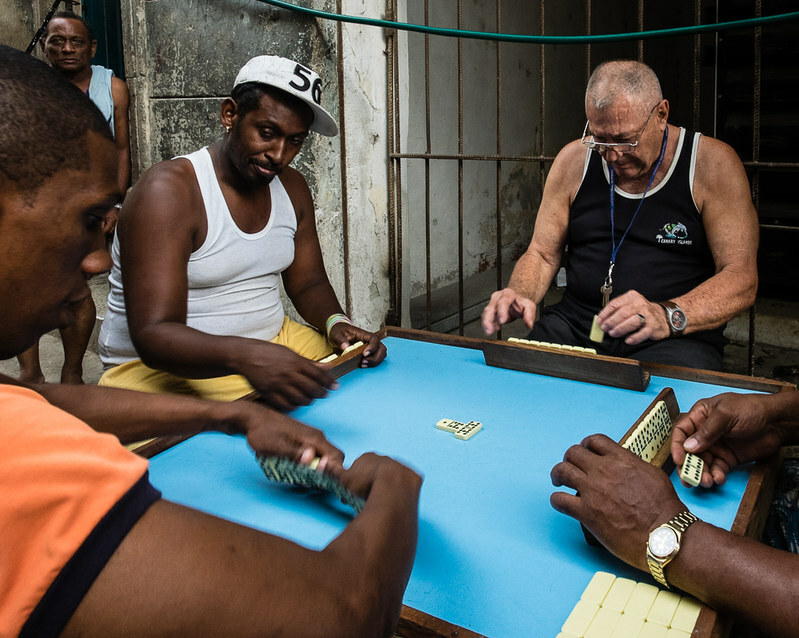 My goal in Cuba was to move in closer and connect with humanity and its narrative qualities. This was was outside my comfort zone, but I wanted to connect and be more present. 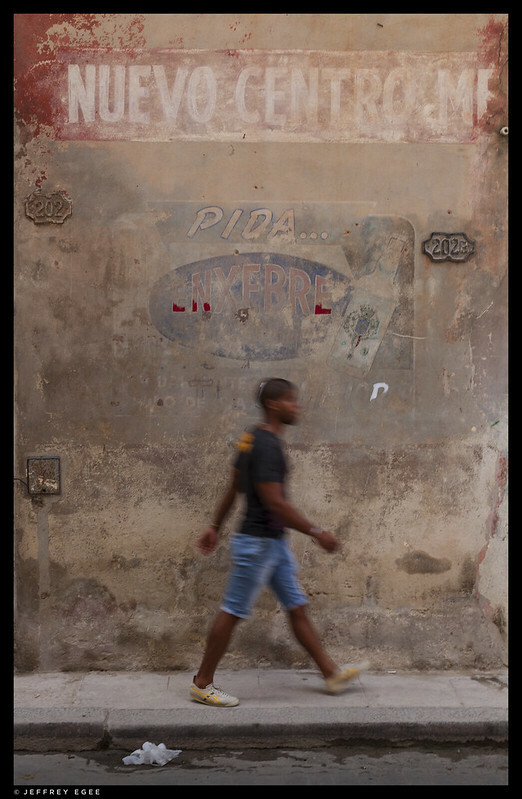 My hope was to depict not only something situational and organic but also to convey the context of Havana with her powerful colors and crumbling infrastructure. I feel like I made clear progress towards my goal and developing a style but still have a long ways to go. 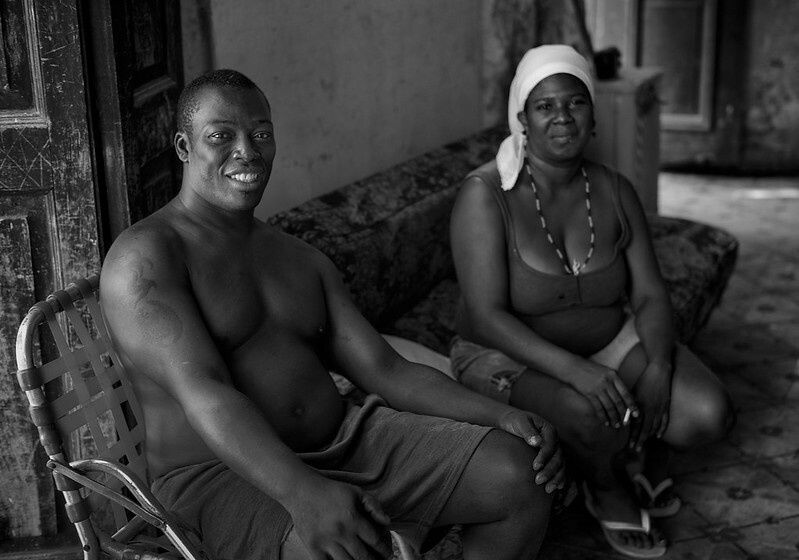 I hope you find something here that speaks to you and allows you to see these beautiful people in a more intimate way. (Earlier extract from Facebook; I know Roger won’t mind me sharing it:) I got a little sentimental about Havana tonight. A week ago I spent 24 /7 with the most amazing group of guys and one woman. Superlative photographers, historians, artists, entrepreneurs, philosophers, and travelers, as fluent, multi-disciplined and erudite as any I’ve ever met. Plus, they were a blast! I know I will count them as dear friends for the rest of my life. This morning is our portfolio review. On day one, we described our vision of what we wanted to create this week: trying to get a handle on and define our personal style. On day one, we showed our 10 best photos that illustrated that style. Ming taught us how to stop making excuses for flaws in our work and held our feet to the fire about being ruthless editors. My personal goal was to make photos that use people and situations to draw the viewer in and make them wonder what the story is. It’s a narrative approach that forces me into my discomfort zone: it’s always been easier for me to shoot landscapes or candid portraits of friends or post-card like scenes that didn’t really force me to engage strangers or situations in an intimate way. 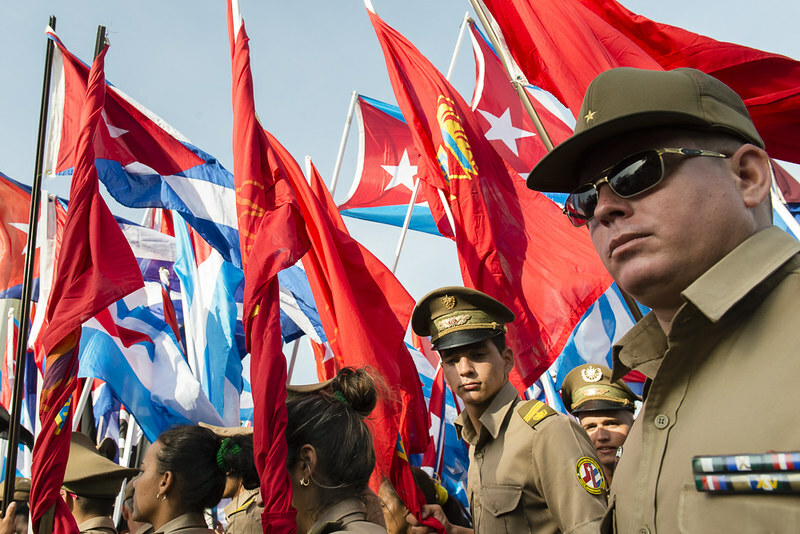 Now, after working this week in Cuba, we assemble again all day in order to see the results of our mission. Again we show 10 photos to the group for critique and instruction. Ideally, they will be worthy of inclusion and represent not only illustrations of our stated goals but also a step up in our artistic journey. My internet is like AOL dial-up from 1986, so I haven’t been able to post any photos. Furthermore, there has been lots of nuking of photos this weak including many near misses and photos with small flaws. I’ll start to get them up when I return. It’s not about quantity this time for me, but quality. In this week at least, that much has changed. So here we go! I feel like I was fairly successful with my approach from an objective view and no doubt successful from an internal growth point of view. I swallowed my fears and really tried to connect with people’s lives. I hope that comes through in my work. Wish me luck! Tonight we’ll have one last dinner together and hopefully go hear some splashy horn-filled salsa music before I travel home all day tomorrow. It would have been wonderful to share this week with you. Maybe some of my photos will give you a glimpse into this incredible experience. I want to thank you for your dedication and your commitment to perfection. A little has rubbed off and it is more than rewarding. It is not by nature, my style, but I want to develop in this direction. And you have shown me the benefits of aiming higher. 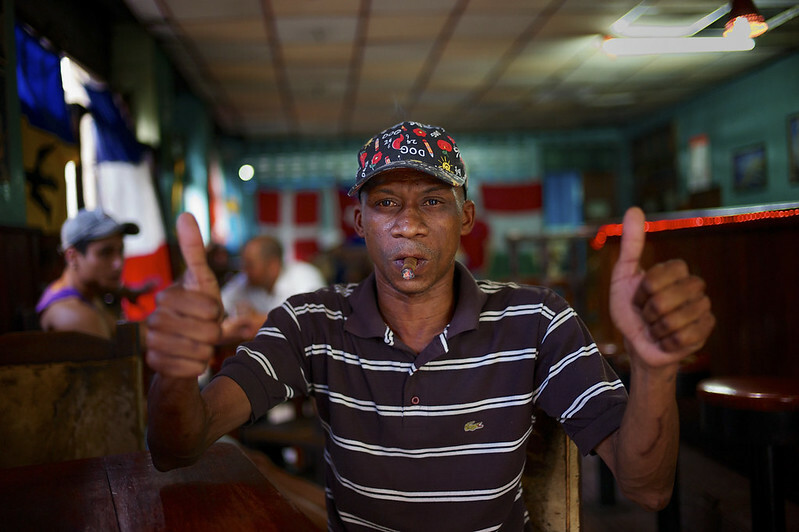 I can now truly appreciate when an image is done right and that is what drew me to come to be with you in Havana. In developing my eye I went to the oculist and discovered my right eye is losing it. So not only do I have to develop my left eye for shooting, but I have a goal of shooting with a greater sense of demand for worthy images. I can see how much is going to be available by developing my post processing skills in PS. This is challenging but I see how much the subject of a photo can be enhanced through simple dodging and burning. I think the osmosis is beginning to work and your videos are supporting it. I am off to the Philippines Wednesday and I am looking forward to practicing what I am learning. Here are my two images which I feel have come along way with your guidance. 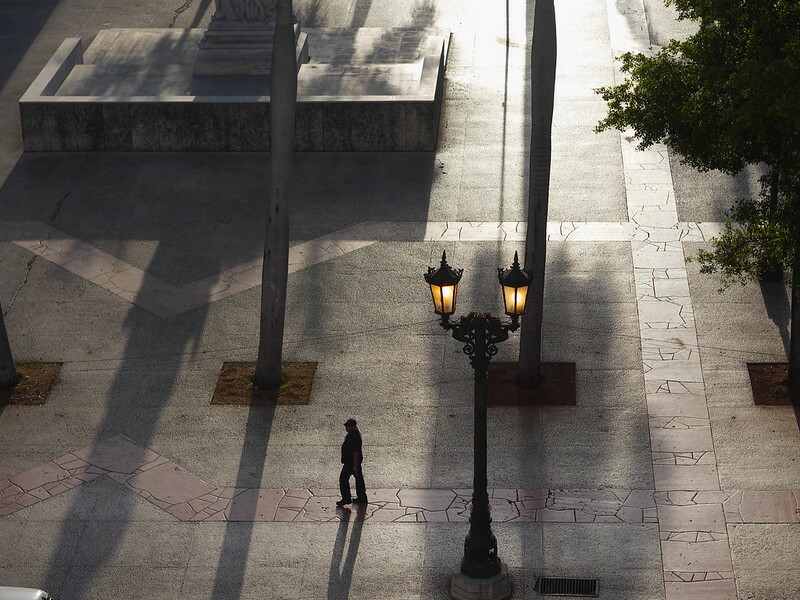 I toured Cuba extensively in the last year of the Clinton administration. There was great hope back then that Cuba would be “opened” up. Sad to say that didn’t happen and it shows. Though many of the photos on this blog look colorful the sad truth is that the color and vivacity have just been leached out of this country. It is resembling a grey scale with sploches of color. I tried to capture this. I was very sad the first days of this workshop, but, as I reconnected with people I had met 15 years ago I was just amazed at how they managed to persevere in their art. 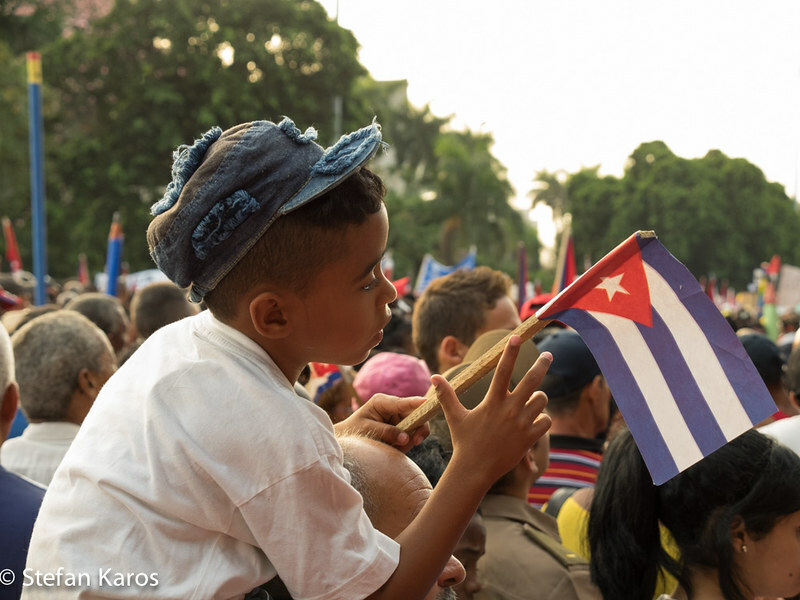 I realized that the soul of the Cubans will not be extinguished even as their country crumbles around them. I love this place..I love these people…as they, as we, await release. 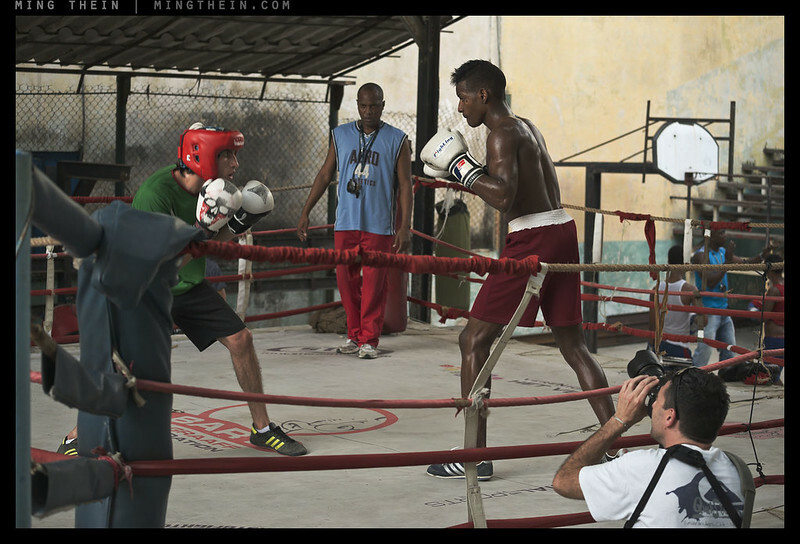 The trip to Cuba marked my second adventure with Ming Thein. Just last October, I was lucky enough to spend a long weekend on an introductory course with Ming and an amazing group of individuals in Prague. The incredible thing about these trips that I didn’t think about before coming, is that they unite an extremely diverse group of individuals who are all incredibly passionate about photography. So despite everyone being seemingly different, we all have a shared passion. Ming is a great teacher and a brilliant person – not to mention an amazing photographer. I’ve now left both trips feeling inspired and much more confident with my ability to take great photos. The other photographers on these trips have become friends and critics of my work, and the network alone has made these trips well worth their time, money and effort. I would implore anyone that is a fan of Ming and enjoys photography to take the leap and sign up for a course the next time Ming comes to your corner of the world. You will take your photography to the next level and leave feeling just like you did the first time that you realized that you loved photography. 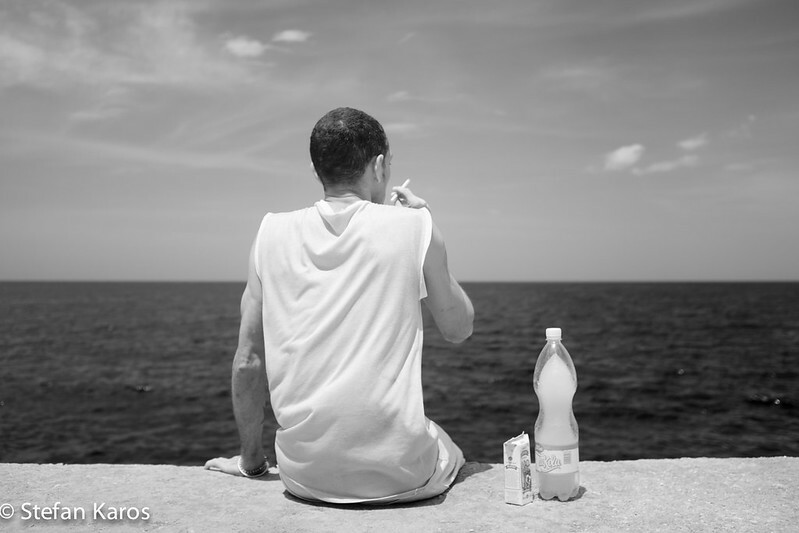 I went to Cuba with an open mind and the hope to expand upon what I took from the Prague trip. I also was hoping to come home with a few good photographs! 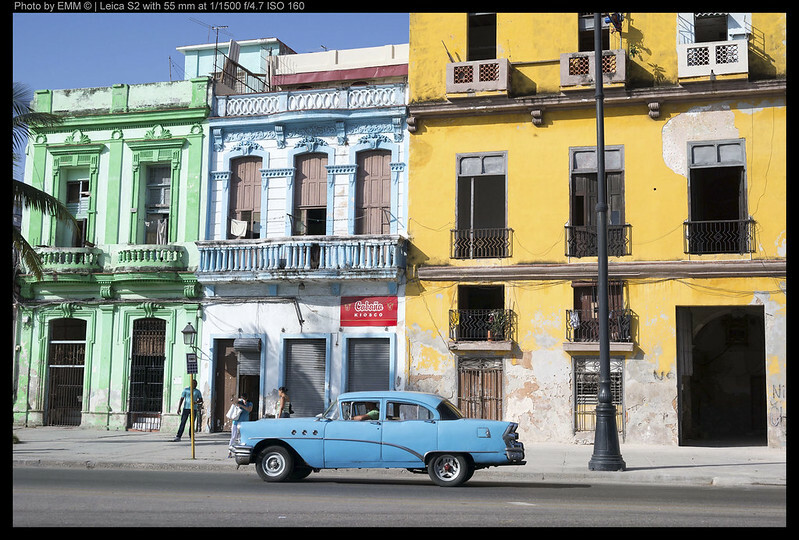 I will let you judge on the latter, but I left the Cuba trip just as I did in Prague – a better and more inspired photographer looking forward to the next trip. Just as we hatched the idea of Havana in Prague over a glass of rum, we once again talked about what the next trip with Ming will be. 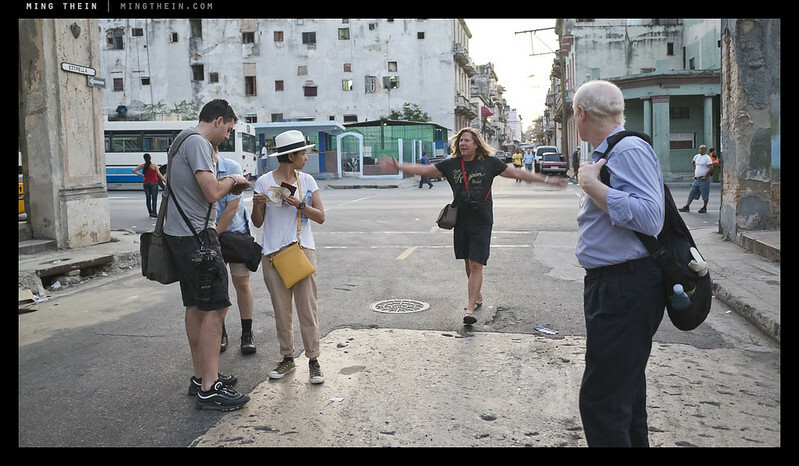 The group of photographers in Havana was excellent. We realized early on, that despite everyone’s photographic style being extremely different, everyone brought a different unique group of skills and insight to the table. Everyone being so different actually was a big benefit to my learning because it brought such a diverse set of artistic perspectives to the table. I am really looking forward to the next trip with Ming and a future group. If you haven’t done so already, stop thinking and start booking a course with Ming. The experience will open your eyes and you will undoubtedly come away from it a more enlightened photographer. 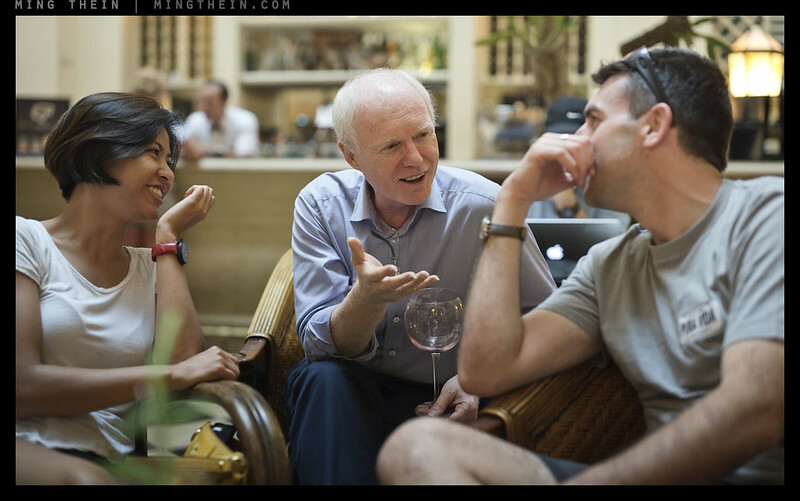 Mike has also published some much more detailed – and extremely flattering – thoughts on the workshop on his own site here. I’ve been following Ming’s work for some time and been fascinated by the quality of his images – particularly his monochrome ‘street’ work. As a ‘Candid’ photographer I was very interested to meet him, having also worked through his video materials, to get his help, on a one to one basis, on how to establish a ‘photographic style’ for myself. 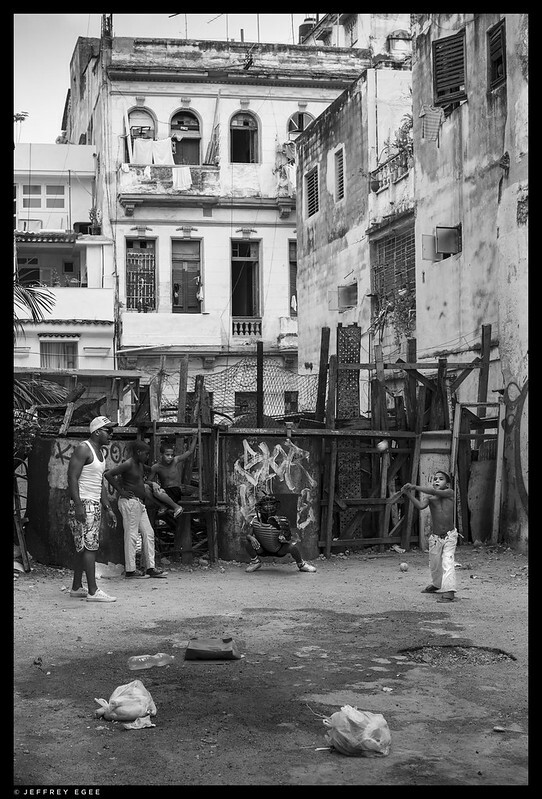 I was also particularly intrigued to see what the Havana location might offer in the way of unique photographic challenges. 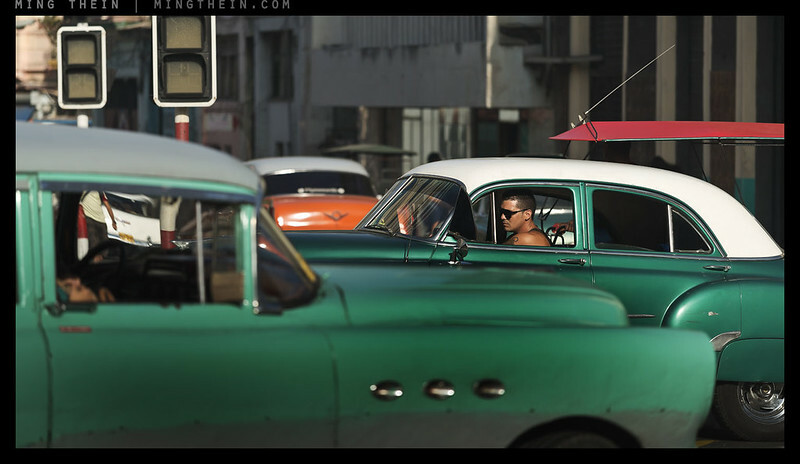 In Havana, I had originally planned to capture the fascinating array of 1950s vehicles that the city offers, but after the Portfolio Review on the first day I changed my objectives. 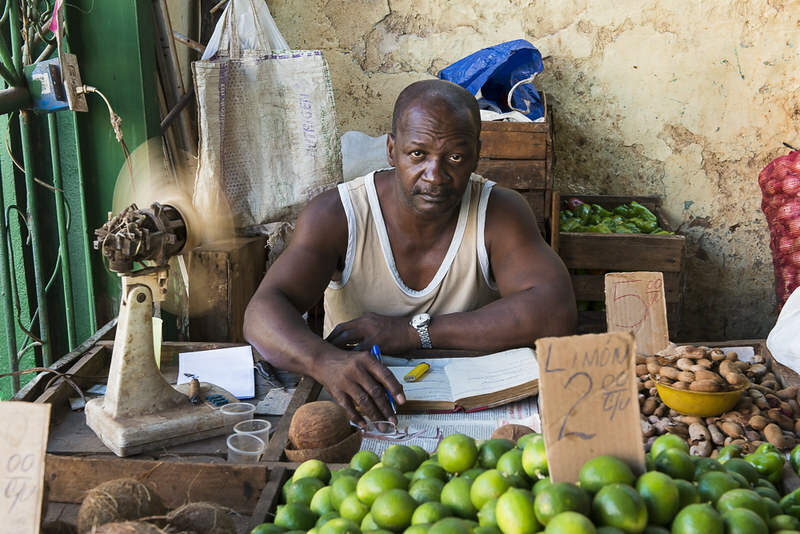 I decided to try and represent the everyday people in a variety of situations – to try and capture as many ‘Havana Moments’ as I could. Technically, I also wanted Ming to help me with my processing of monochrome images; to help me retain the energy of each image while keeping a full range of tonality between a solid black and white. He helped me reexamine my workflow and gave me several useful tips on improving my work. 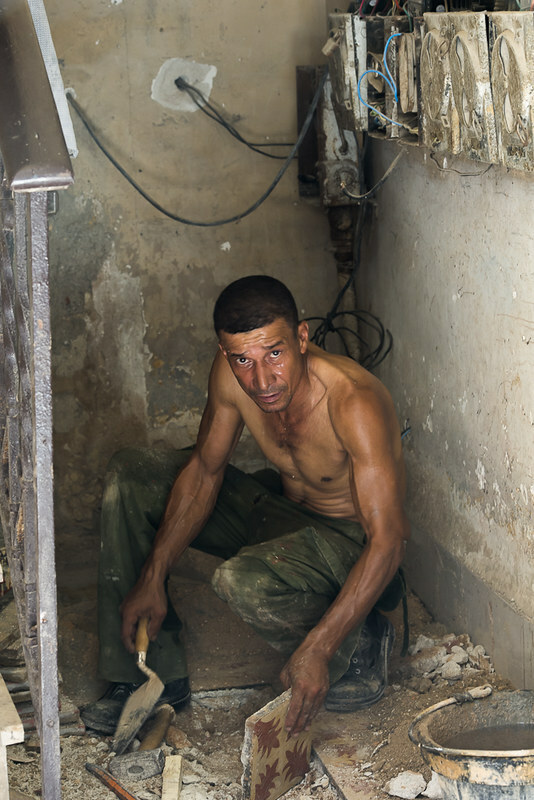 The three images I’ve chosen each capture something of the essence of present day Havana – there seems to be more than meets the eye in every scene – which is how I see what is happening in Havana today. I’m an italian photographer. I started photographing in 2011. After some courses I felt myself quite stuck in front of reality, like I felt myself unable to shoot what I was seeing, strict and frozen by the technical aspects I learnt. I start following Ming’s blog loving his way of doing photos, his simple but pure and clear way to portray reality. I decided to join Ming in Prague and I experienced a new way of seeing reality and photographing it. Everything was finally clear. He cast me a spell, I think. After that I decided to join The Cuba Masterclass. It was a really inspiring experience both for the human relationship with other guys and with the locals. My starting goals were to do very good B&W images like Salgado’s ones, one of my favourite photographers. 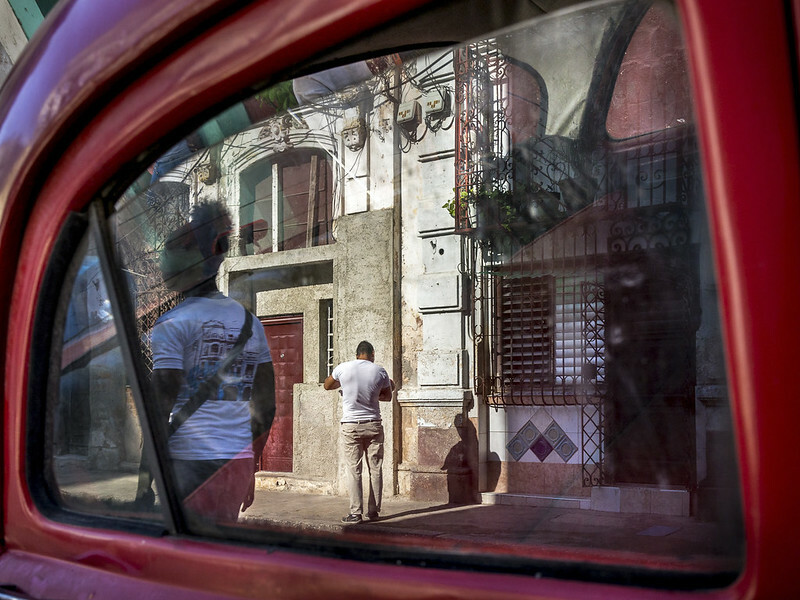 During the week I changed my goals: Cuba has an unique atmosphere, colors are so punchy that it was impossible to pursue my previous goals. I ended up doing very nice portraits of people, full of colors and light. In the end my photos look like more Steve McCurry’s ones in style…even if I have no intention to compare my photos to the ones of such a great photographer. Now I waiting for the next step…another masterclass: Ming changed my way of seeing reality and to portray it. I can’t really wait for another adventure with him and with all the other friends met on the way. Thanks Mike – will update the links accordingly. See you in Prague! Great shots, thanks for sharing these Mike! I think I need an excuse to attend another Masterclass. Great pictures! Though I see a lot of very expensive gear which doesn’t necessarily correlate with better pictures. The X100S for example doesn’t do a worse job in this selection at all, same for the E-M1. I like Diego’s photos the most, because there’s an interaction with the locals! 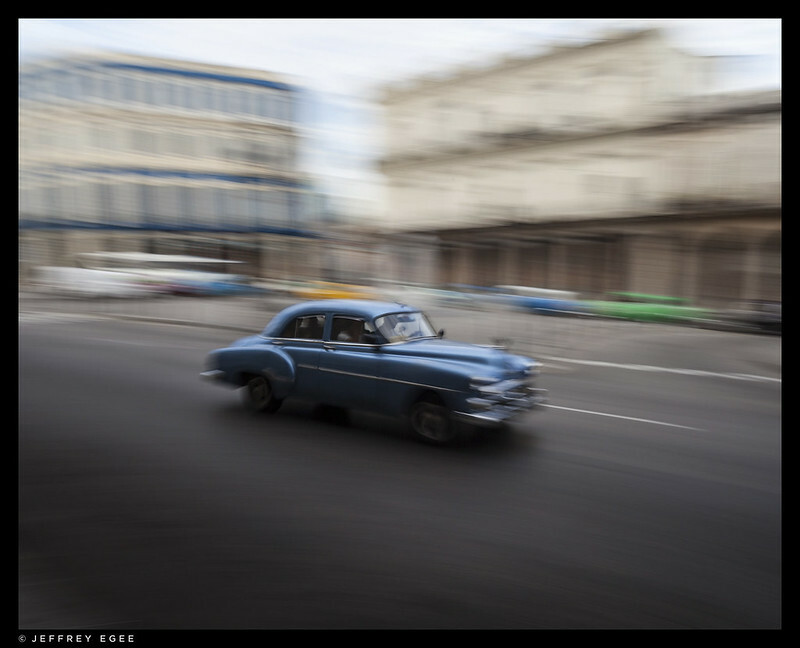 I also like Erling’s photo of the blue car, though I would have preferred a more geometrical perspective, i.e. being at a 90° angle to the house. But maybe that’s just me. Thanks. Looks like they’re all working except for Scott D’s. Odd. I’ll go have a play with it again when I get a chance. The fix on all the others seems to be working, anyway. Thanks for that, and the images are looking good. Hi Thomas, most of the photographers have a link to their flickr profile or website too, if you’d like to see more of their work. Quick administrative note …. all the student’s image Flickr links that have been tried are coming up as 404/Page Not Found or Yahoo Login. The links for images you shot seem to be fine. Could be the manner of linking or Flickr privacy settings maybe? OK, fixed – some privacy settings weren’t right. We then spent a day … working on individual development tasks and exercises for each person. Could you expand on that a bit? Each participant brought objectives and a portfolio of images the thought came closest to their objectives. I looked at the gap and broke that down into a few key things they needed to focus on. I think that is the strength of the workshops – you see so many different views. And one can only improve on from that! I’m more and more kicking myself for not making Cuba, but hey you scheduled it the onetime of year I couldn’t make it 😉 . From everything you’ve shown it looks as if it was brilliant! Sadly I can’t commit to Venice at this time otherwise I would have come….the posts have convinced me the master class format is a good step up from the outstanding images workshop. Question for you Ming – we talk about the students but did you learn anything!? 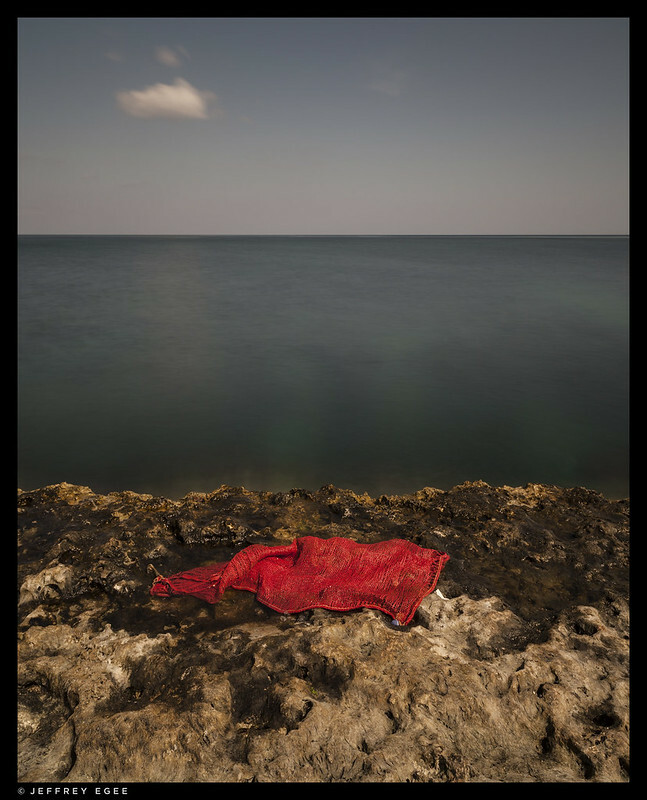 Im thinking in the way you curated your images with the students and how they saw certain images? Ah well, there’s always Venice – I’m down to the last spot, so if you want it – you’d better let me know soon. I’m glad for the reception, though. Outstanding Images is so comprehensive that I had trouble figuring out where to go next – I think some flexibility to take into account individual styles and preferences is important, but not so much as to be unstructured. There are some things I’d like to tweak for the next masterclass, but all in all – I’m very happy with the outcome. Did I learn anything? The more of other people’s work I see, the more alternative points of view are opened up. And there were some images in the final selection that made me very aware of the things I’m not so strong at – whether I choose to develop those to be more rounded on average, or focus on my strengths I haven’t yet decided. Erling, Wonderful photos and report! Thanks for sharing! I have more comments later (Big Sur?! ), but I love this article! For me, the main sign of a good teacher is the quality and variety of students that they turn out, and this is obviously apparent in the students’ images above. I can’t wait for San Francisco, but you guys have all set a very high bar! Ming, as good as your photos are, I wonder if your more important legacy will be your students. Feel free to shoot me an email on the former. But thank you, I do agree: one can be a good photographer but not be able to translate/ transfer that, which doesn’t really work as a teacher. I’m not aiming to create a legacy, but you’re probably right – with the current state of the industry and the semi-disposable nature of images, perpetuation of an idea/ method/ style is probably going to last a whole lot longer than an individual image. Great, great photos! Each made me want to look further, to dive in. 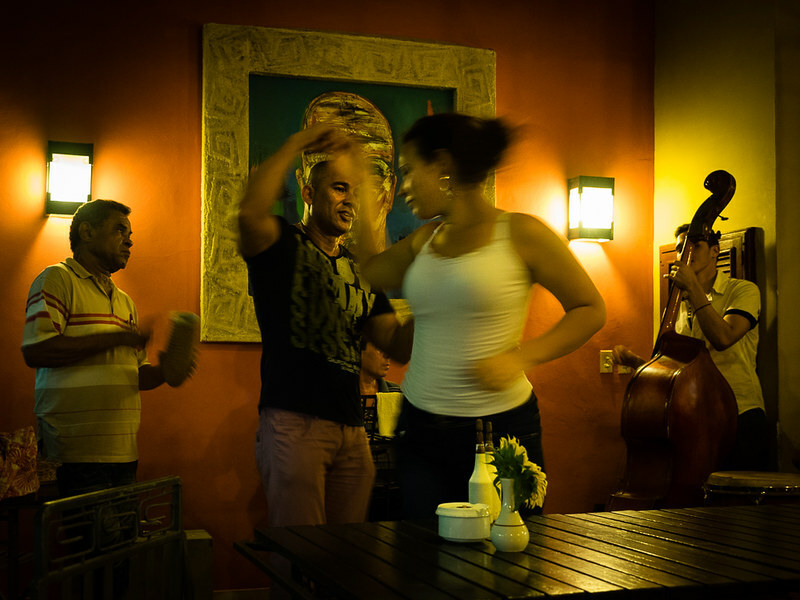 The culture of Cuba was overflowing in the images! Great report and made even better by letting the students tell their stories. Need to get myself on one of these workshops…. 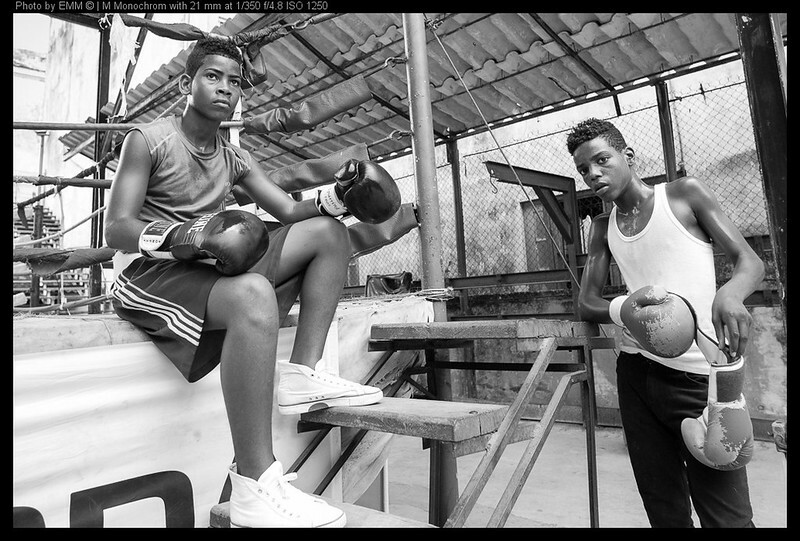 These are some of the most impressive Cuban photos I’ve ever seen. 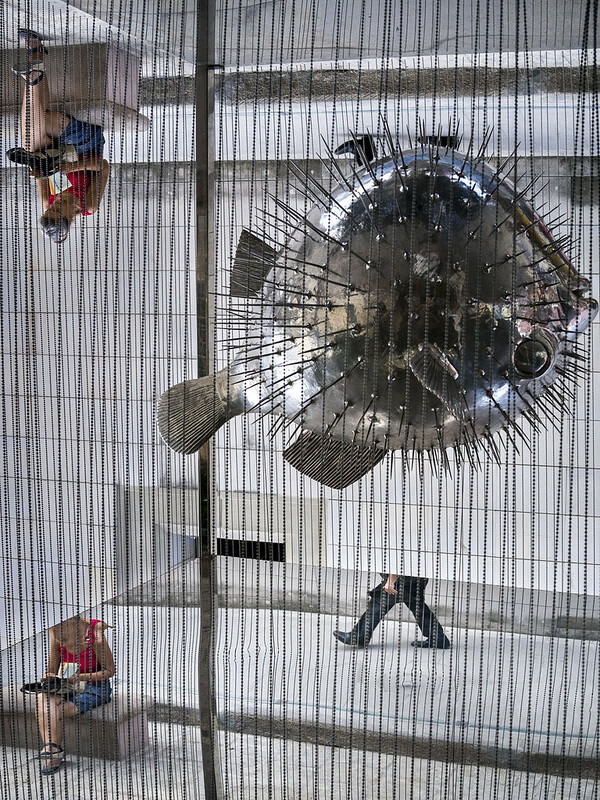 Congratulations to the photographers and to the curator. Well done everyone, including Ming, from the class. So listen, Scott’s little write-up interested me the most. Where everyone, more or less, saw color — certainly as an audience that’s what comes across too: color — the grey stood out to Scott. Reading your words, Scott, the previous visit and its memories may have had something to do with that, I don’t know—and that’s what I intend to ask you, if I can! But, just as photos are co-creations (copyright Snr R.Wojahn esq.) physical locations may act similarly… How much do you think it was the place, and how much you (the influence of your previous travel in the country)? I only know Kuala Lumpur through Ming’s photos. Literally, I had zero idea about the place… and from things like the whatever-he-is-selling seller in the E-P5 review, to the birds MT used to photograph in the national parks, like this Scarlet Ibis (when the photog got that D2H CCD to hit the spot, wow)… or all the cultural stuff, like Wesak Day, and a ton more—it all makes KL look like the most colorful, vibrant, and key word: exotic place ever, to me. Me, who didn’t have a clue. I’m sounding like a total shoegazing mope-machine here—but it’s all to skirt around the point: with a tabula rasa from the get-go, most any place different is going to seem pretty exciting, vibrant, exotic—all the usual adjectives. We all know that. And the converse is true, I suppose—familiarity breeds contempt. I’m not saying you have contempt for Cuba, Scott, but you are obviously disappointed, hurt even?, that the promise of an unshackled Cuba that you dared to dream about all those years ago hasn’t materialized*. But you couldn’t have these summed up feelings until the end of a trip. So here’s where I’m curious, Scott; Ming has often commented on the sweet spot for photographing a foreign locale… it’s not the beginning, when it’s information and excitement overload; it’s not the very end, when you’re feeling the pace and are thinking about the plane home rather than where you’re at now; it’s that bit in the run-up to the last few days, when you’ve seen, processed, made a decision about the place, but it’s still slightly up in the air and you go out to get something along those lines but let’s just see what happens, etc., then. I’m curious if your photos were from that point, or nearer the end, or nearer the beginning? Anyway, nothing suspect here Scott—just curious! That’s mine, it doesn’t count! Exactly! Would have been rad to see “waiting for blue hour — the Havana version,” but I know taking a Gitzo, even the traveller, probably wasn’t an option. Local specialities are exported to become global local specialities. Lots of rum, though. I did contemplate a tripod, but in the end luggage restrictions and all that – and requests to see the Ultraprints – meant that there wasn’t a lot of extra space in the suitcase. Actually, KL is quite a bit of a dump. By consciously excluding the uninteresting, third world bits, it looks pretty okay. Japan is exotic to me – because it’s one of the few places that actually feels different to home; that said, everything is relative. I don’t think that’s always the case; much of Europe, the US, the UK and Australia feels quite similar to me – especially the large cities. Congratulations to teacher and students. Quite a good job. Any chances to go to Rio? By the way, the links to Flickr are not working at all. Congratulations to all for such a wonderful experience and for sharing it with rest of us! I’m very impressed by the quality of images all of you produced, but I must confess that the last image left me speechless! What a shot, Ciao! Great pics and recaps by everyone. Thanks again to Ming! Looking forward to doing this again…. Did someone say Big Sur??? When? Did someone say Big Sur? Huh? Yes, an early 2015 post-Masterclass workshop. You really need to have been for at least either Outstanding Images or a Masterclass first to get the most out of it though. Glad to see you hit the coast. Beautiful. You would love the drive up to North California through the Redwoods. Driving to Big Sur while shooting would present more than a little opportunity for really serious consequences. The cliffs are a very respectable distance from the ocean below! Something not open to first-timers explains why it doesn’t appear in your announcement of workshops for 2nd half of 2014. I’ve visited Big Sur and surrounding region and find it breathtaking and highly motivating as a class location but cannot imagine how to budget two workshops in close proximity. Oh, foo. It’s also because it won’t happen til 2015, and we’re nearly a year away – anything could change, so I don’t want to seek commitments from people that far in advance. You are still keen on joining us for the Venice masterclass? I’ve only got one slot left. The sole remaining matter that’s kept me from signing is an intersection of keenness with projected wherewithal. Ah, I can’t do much about that. Let me know once you decide. Won’t surprise me if you sell that last seat first. The workshops seem to have filled pretty promptly this round. Surprisingly, the masterclass went much faster than outstanding images – in fact, I don’t think I’ll be doing outstanding images SF and Venice at all. The participants are very good at shooting people, portraits, action, situation and groups. They are masters of the masterclass. Great personal touches and photos came out! Very interesting report, thanks! Beautiful set of photos. Talented people with a excellent teacher and a great locale. 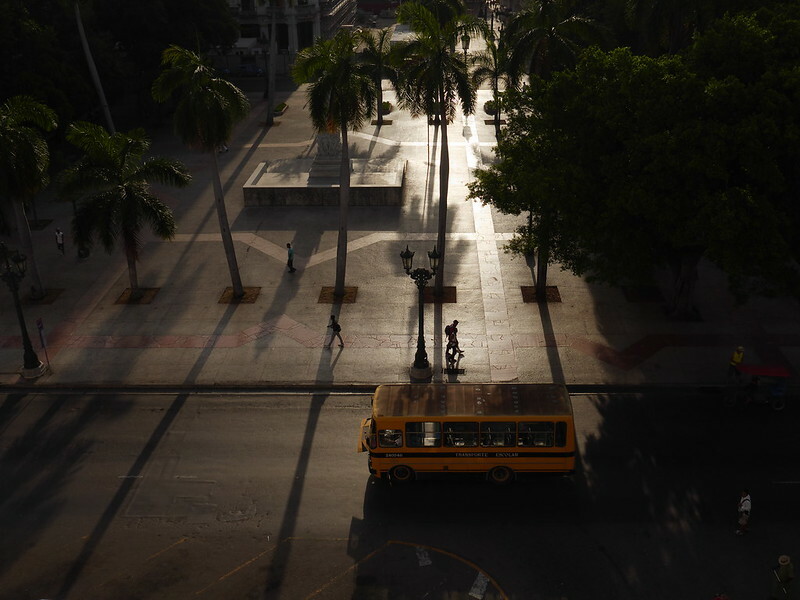 Cuba is one of those places where one hopes to visit. Wonderful Report and outstanding images by all. I like the report style. Thanks everyone. Nice report. I really wish I could have afforded to attend this trip and Masterclass. 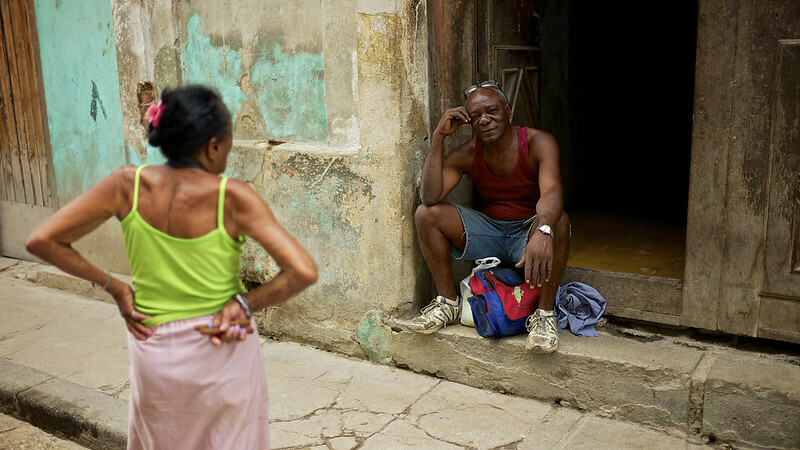 This is the best photographic report I have read on Cuba, and I have read many. Great images, particular the last one! Looking forward to meeting Ming and other enthusiastic photographers in London this summer. Love, love, love the photos….any chance of a masterclass in Calcutta? Very photogenic, really interesting city! I’ve got contacts I could share. Thanks for this report! It was such a blast that I’m not sure even this could do it justice. My pleasure, Ciao – I agree, I don’t think this does it justice. It’s a place that just has to be experienced for yourself. Congrats Ciao! Thanks for sharing your experience and wonderful photos! 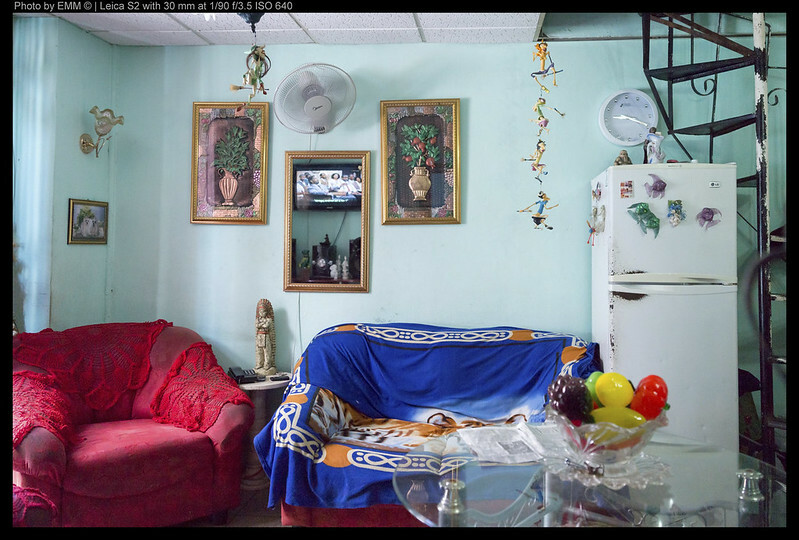 nice images Ciao….Fair to say Alex Webb and David Alan Harvey are influences…? Please take that as a compliment…! Thanks Andy, and yes indeed it’s a compliment! Credits must be given to Ming Thein too as a major source of inspirations. I’m heading there for 10 days next Feb. Though also going to Trinidad and Vinales…..! Enjoy! I’m told the provinces are quite different from Havana. Hardly: I help you to make what you see; nothing more, nothing less. There are images in this collection I’d wished I’d shot! You’re too humble, Ming. By the way, a big thanks to Nadia too for arranging all the incessant epic dinners! I think she was being mostly self-serving in that regard…that woman has very high standards when it comes to food. But yes, that final lunch was truly epic for so many reasons.